Our elite line of awards is now offered for basketball! 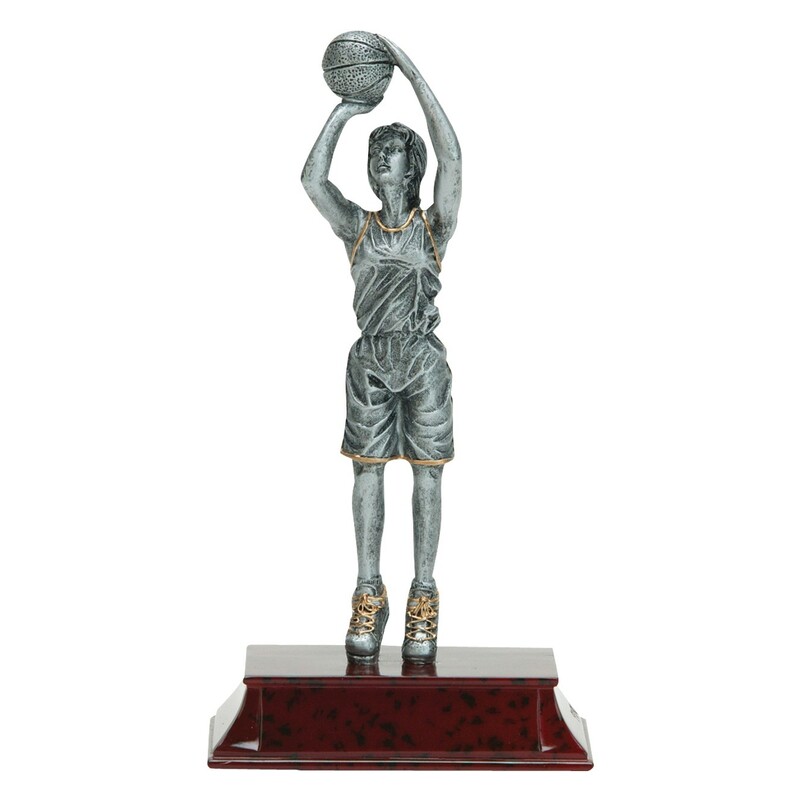 This pristine trophy features a silver girl player making a jump shot. The figure is made of solid resin, giving it the look of cast pewter; the base has a rosewood look and feel. 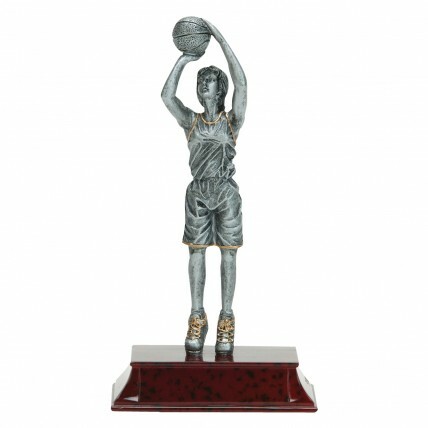 The Elite Girl Basketball Resin Awards will bring the perfect mix of action and class to your next event. NOW ON SALE! Quantities limited, please call for availability. Limited to stock on hand.